Hold your horses. Defiance isn’t getting ultra-violent or any x-rated features. Trion Worlds recently announced that Defiance is “Now Safe For Wallet”, not quite as exciting but good news nonetheless. Today marks the release of the eagerly awaited free-to-play version of the struggling cross-media MMO as Defiance enters a new era without its previous pay-gate. To celebrate the free-to-play launch the developers revealed some interesting bonuses for players that purchase a boxed or digital version of Defiance. uncommon weapon to epic rarity. 4 Character Slots, 5 Loadouts, up to 75 Ark Keycodes and a minimum 70 Inventory Slots. Boosts to skill, XP, scrip, salvage and reputation gain rates that stack with the matching boosts available in the store. A grab bag of one-hour boosts or Arkforge from Daily and Weekly Ark Hunter Bonus Lock Boxes. 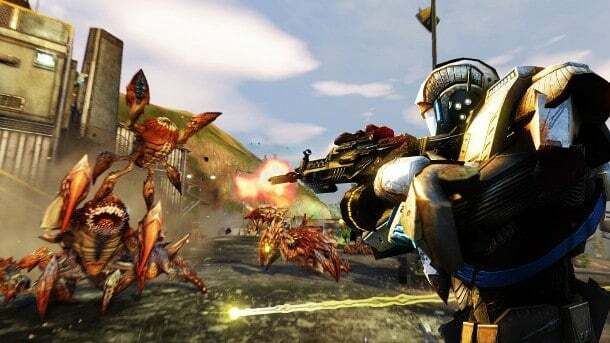 Personally I would have been more excited for Defiance if they introduced decapitations, incredible levels of gore, and the odd booby shot but I guess we’ll have to settle for the free-to-play opportunity instead.